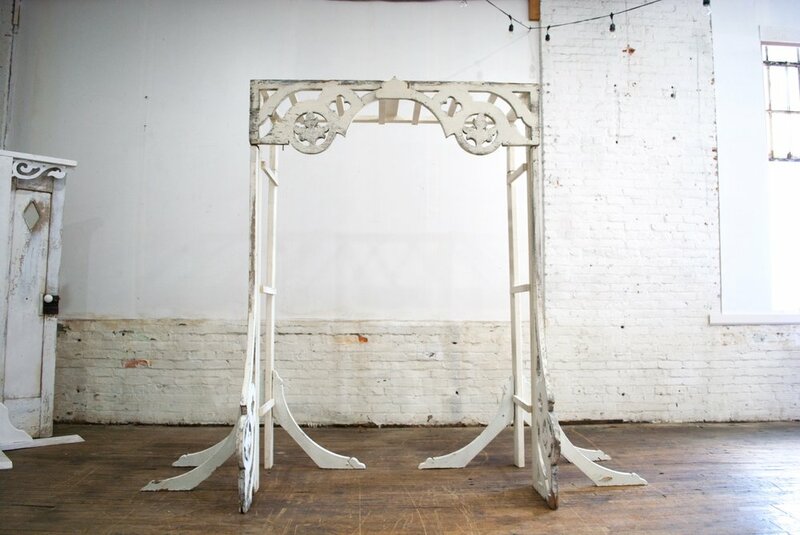 Our White Wedding Arbor is a one of a kind piece made from architectural salvage. The arbor requires a special set up that only we can provide, or a florist that has been trained to set it up. It can not be sent out as a pick-up item.